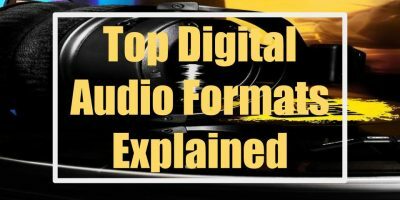 If you want to quickly cut an occasional MP3 file and don’t wish to install software, then you should try cutting your audio file online. It’s easier and quicker to do it for free online via your Internet browser. Don’t know which free MP3 cutter to choose? Although the site denotes that it’s a dedicated MP3 cutter site, other AV tools are available as well – audio converter, audio joiner, video converter and video recorder, among others. You may drag and drop your file to the cutter interface. Otherwise you could import your MP3 file from your Dropbox, Google Drive, or provide a link to your audio. Then go on to mark your start and end points of the protion you wish to cut. Before proceeding with the cutting, you may apply a fade in and fade out effect if you so desire. Done, you may save your output file in the following formats: MP3, M4A, M4R (ringtone for iPhone), WAV and FLAC. Then you may proceed to hit the Cut button and the desired portion of your clip will be downloaded. MP3Cut is also an online MP3 cutter and joiner where you can cut and merge songs online. If you wish to cut portions of multiple clips and join them, you can do it all here. With Audio Trimmer, you can’t drag and drop your MP3 files for cutting. You would have to manually upload it by from your hard disk. Once uploaded the audio waveform will be displayed. You may preview the clip by hitting the gren Play button. Then move the sliderto the start and end points. Before cropping the audio you can apply the fade effect – fade in or fade out or both. 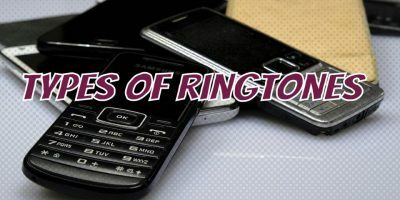 You can only output in two audio formats – MP3 and M4R (iPhone ringtone) – though. Input formats, however, range from WAV, )GG, WMA and even 3GPP, among others. Audio Trimmer doesn’t provide the facility to join your MP3 audio clips. However, it comes with an audio reverser and tempo changer in case you need these tools. Have a video whose audio you want to cut? 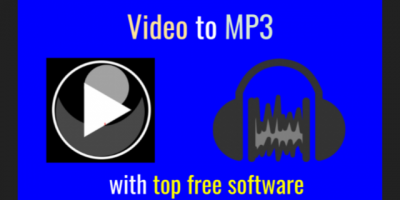 This free MP3 cutter online allows you to upload a video which it then converts to MP3. Then you can proceed to cut your converted audio. by setting the begin and end time. 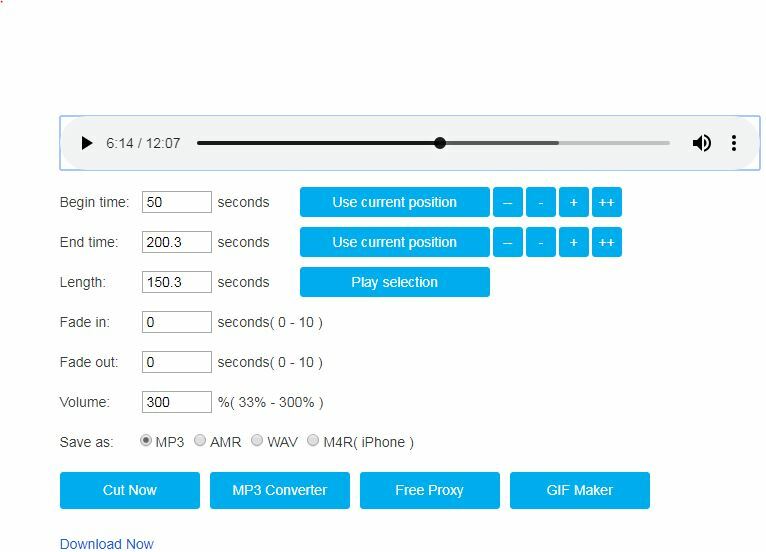 This free online MP3 cutter allows you to decrease your audio volume up to 33% or increase it up to 300%. Fade in/fade out effects are also available. Output audio formats include MP3, AMR, WAV and M4R. Magicode free MP3 cutter online promises to be diffrent from its counterparts. For starters, it has no file size limit when it comes to MP3 file uploads. Second, it promisses lossless quality after an MP3 track is cut. Finally, if you’re worried about your MP3 files being stored in the Magicode’s server after the cutting is done, rest esy. The service assures you that your audio track will be processed locally. No audio file will be stored in Magicode’s server. Testing it, I found that the cutting and downloading speed is extremely fast. Try it if you just want to cut a portion of an MP3 without the need for fade effect. This free MP3 cutter promises extra features wotrth noting. When youdrag and drop an MP3 file into the cutter interface, it gives you a waveform with Left and Right Channels. That’s not all. You can import video from YouTube and get its audio extracted. Then you can selt the portion you want to cut out. You can also record your voice with a microphone and cut the portion your want. The best part of this service is the extensive free sound library it offers. Some clips are are under the Creative Commonbs Zero which means you can use them freely without givng attribution. 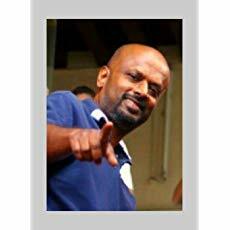 Free sounds are provided in 3 categories – background music, sound effects and free sounds. Popular sounds include bass, evil laugh, Christmas bell and relax. You may import them into the cutter interface and cut out the MP3 portion you want. Bearaudio MP3 Cutter certainly comes close t a dedicated audio editor with these extra features. This is one free online MP3 cutter you should try if you ‘re looking for more than simple simple MP3 cutting. Check out the above free MP3 cutters online and pick the one that suits your requirments.